At Energy One, our primary interest is your interest. Along with your existing Premier One Checking benefits, you’re eligible for our new Premier One Money Market Account with new tiered interest rates that allow you to gain a better return with higher balances. 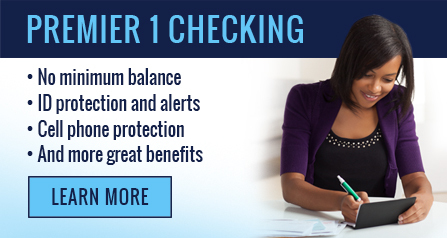 With your Premier One Checking account, the benefits keep on coming. Come in or contact us to open a Premier One Money Market account today. The Premier One Money Market account is available to members who maintain a Premier one checking account. If the Premier One checking account is closed or changed to a different checking account type, the Premier One Money Market account will be changed to a standard Money Market account.